Allows you to establish secure direct connections to PC's that are not accessible due to the restrictions in network setup. If your home computer is connected to the Internet via Connection Sharing or Broadband Router, you will not generally be able to access it, say, from your office. By installing Hamachi on both computers and clicking a couple of buttons you can connect them instantly and securely. Now you can browse file shares, run remote desktop or even host a multiplayer game on one computer and join in from another. Just as if they were connected with a physical wire. Hamachi is simple, fast and secure. And it is also free. Hamachi is a networking technology enabling any two computers on the Internet to talk directly to each other regardless of the presence of firewalls or address translation devices on the route between them. Most interestingly, Hamachi enables peer-to-peer communications between two computers residing behind two different connection sharing devices. In geek language - it allows for bidirectional NAT traversal. Peer to peer connectivity becomes possible with the help of Hamachi servers that mediate the establishment of an initial contact between peers. Once peers connect the traffic starts to flow directly between them. This not only ensures that data travels the best route possible, but it also minimizes latency (ping time) and maximizes transfer speeds. Hamachi is secure. All Hamachi communications are encrypted and authenticated using industry-standard algorithms and protocols. Nobody will be able to see what two Hamachi peers are talking about. However what is more important - Hamachi security architecture is completely open meaning that its detailed description is available for review to anyone interested. A special effort went into designing and polishing Hamachi user interface. The result is sleek, simple and intuitive, while still very much functional. Everything you need, nothing you don't. 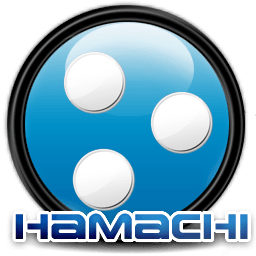 Hamachi software contains no spyware, bannerware or any other -ware unrelated to its purpose. And it never will.